What can a woman - a mere governess - do against the scourge of slavery? Elizabeth “Lizzie” Clouston’s quietly held principles oppose those of the Southern Cause - but when 40,000 soldiers converge on the fields of Franklin, Tennessee, the war demands an answer. 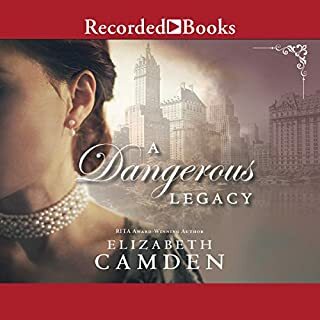 The Carnton home, where she is governess, is converted into a Confederate field hospital, and Lizzie is called upon to assist the military doctor with surgeries that determine life or death. Faced with the unimaginable, she must summon fortitude, even as she fears for the life of Towny, her fiancé and lifelong friend. Lizzie is nothing if not a woman of her word, earning the soldiers’ respect as she tends to the wounded within Carnton’s walls. None is more admiring than Captain Jones, who doesn’t realize she is pledged to another. 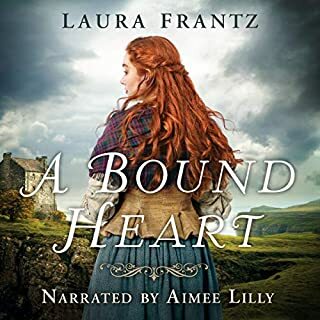 But as Lizzie’s heart softens toward the Confederate captain, she discovers that his moral ground is at odds with her own. 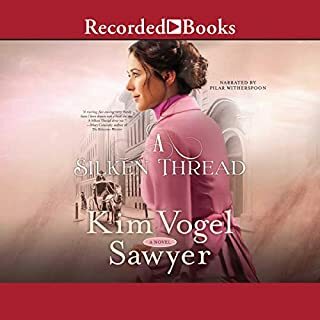 Now torn between love, principles, and pledges made, she struggles to be true to her own heart while standing for what she knows is right - no matter the cost. Download the audiobook companion PDF to taste a piece of history with Civil War-era recipes. 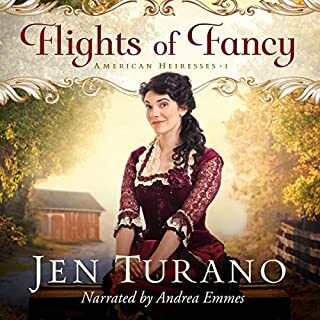 The Battle of Franklin brought Life brought drastic and immediate changes for the residents of Carnton, as told in this fictional account of real-life events and real-life people. I appreciate the research the author did to bring Lizzie's story to the modern world. (In my mind it's Lizzie's story.) I admired the strength Lizzie shows during and after that day. The author does an excellent job describing the horrors of the battlefield and its aftermath without being gratuitously graphic. The impact on the family is very well written too. The way Lizzie and Roland's relationship deloped was fascinating. I recommend this book to all those that love Civil War history with a bit of real-life romance on the side. Devon O'Day does an EXCELLENT job with the narration! 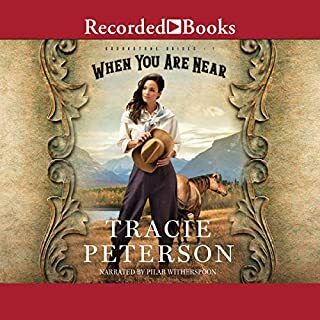 This was my favorite audible book written by Tamera Alexander, and I have all of them! I will certainly be listening to this book again and again over the years! I believe Tamera has perfected the art of giving the reader what they want but not in the way they expect! In the case of "With This Pledge", outcomes not being easy to predict might be due to the fact that the characters and events are based on real people and events! As we all know, truth can be stranger than fiction! The narrator was just right for this book! I absolutely loved this book. 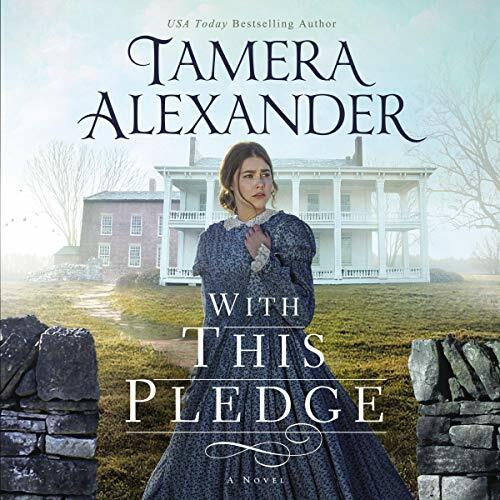 Tamara Alexander is so very gifted in weaving history and revealing stories in any time period she tackles. This books gripped myattention immediately, and held it to the end! Don't miss reading this book! I can't believe how good this book is!!!! Tamera Alexander is the queen of historical fiction. This book is outstanding. The neat part is that it is based on fact! Since I am "born and raised" in the South, this book is dear to my heart. I wish I could give it 10 stars, and I HIGHLY RECOMMEND IT!!! I am eagerly looking forward to the 2nd book. The ever-reliable Tamera Alexander has delivered again. She always pulls on my heart strings and makes me feel like I've come home somehow. 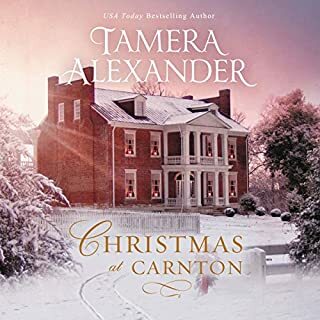 Thank you, Tamera, for a beautifully told story that was both historically enlightening and factual, without becoming too heavy for the reader. You know how to make your characters feel so real and down to earth. I always love the good humor and last but not least, the romance. Looking forward to the next one, as always. Devon O'Day, you are brilliant and brought this story to life. I could listen to you all day.